Only some months after having given a ruling (case C-163/15) to the effect that the holders of licenses in Community trademarks (or, rather, “European Union trademarks”, as they now are) were entitled to bring actions for infringement against third parties even though their licenses had not been entered in the register, the Court of Justice of the European Union was asked to give a preliminary ruling on whether the holders of licenses in Community designs (as they are still called) in turn had that right. The CJEU has given its judgment in case C-419/15 which stemmed from a request for a preliminary ruling made by the Oberlandesgericht Düsseldorf (the German court of appeal) in connection with a dispute between two German companies. The first of the two, the plaintiff, was the holder of an exclusive unrecorded license in a Community design. The defendant was the distributor of a product which allegedly infringed that design. May a licensee who has not been entered in the register bring claims for infringement of the rights in a registered Community design? In the affirmative, may the exclusive licensee also bring an action claiming damages on its own, or may it only intervene in an action brought by the rightholder itself? With regard to the first of these questions, a literal interpretation of the first sentence of article 33.2 of Regulation 6/2002 could easily lead one to think that an unrecorded licensee cannot enforce the rights in the design against a third party, as it is stated there that the legal acts referred to in Articles 28, 29 and 32 (transfers, the creation of rights in rem and the grant of licenses) “shall only have effect vis-à-vis third parties in all the Member States after entry in the register”. However, the court reminds us that at the time of interpreting a provision of EU law it is necessary to consider not only its wording but also the context in which it occurs and the goals it pursues. The court notes that in both the second and the third paragraphs of article 33 reference is specifically made to “third parties who have acquired rights” and thus infers, in the contextual framework, that the rule is actually intended to regulate the effects which entry in the register has vis-à-vis third parties who may have acquired rights subsequently and does not apply to other cases where the third party is simply an infringer. Thus, the answer to the first question is that the licensee may indeed bring actions for infringement of the rights in a licensed registered Community design even though the license has not been entered in the register. Turning to the second of the two questions, the doubt as to whether an unrecorded licensee, although able to bring infringement actions on its own account, may also claim damages arises out of the wording of article 32.4. There it is stated that, for the purpose of obtaining compensation for the damage suffered, the licensee is entitled to intervene in an infringement action brought by the owner of the Community design. However, nothing is said with regard to the question of whether the licensee has a right to claim damages if it brings that action itself. Once again the court looks at the context and observes that, since there are circumstances in which an exclusive licensee is permitted under the Regulation to bring an infringement action on its own account (when it has the consent of the design holder or when the latter has failed to take action itself within an appropriate period, despite having been asked to do so), it would make no sense if the licensee could nonetheless only claim damages by intervening in an action brought by the rightholder. The court adds that such a restrictive interpretation would be contrary to the goal of the provision, which is to provide the licensee with the means to take action against the infringement and thus defend its rights. The conclusion reached by the court is, therefore, that the licensee, once entitled to bring the infringement action, may likewise claim damages on its own account. 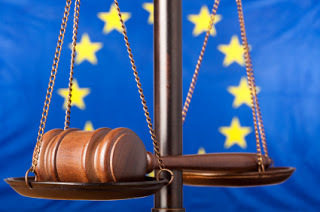 Thus, as in the previous case concerning EU trademark licenses, the CJEU has once again taken the view that licensees have standing to sue even though their licenses have not been entered in the register. This ruling is, furthermore, in line with the interpretation provided at the time by the Alicante Mercantile Court which, in its judgment of 26 December 2011 (ECLI:ES:JMA:2011:152), held that article 33 of the Regulation was only intended to regulate the legal position of the licensee with respect to third parties who may in turn acquire rights from the licensor and owner of the trademark.